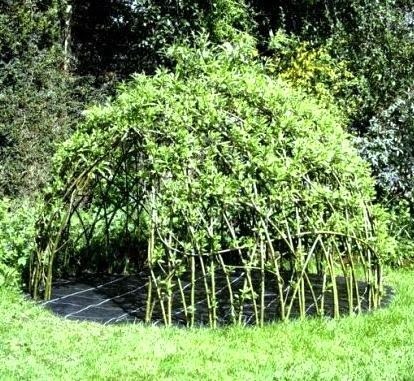 You can make a den or hide out from just about anything. Above is a den we made with Blake using pallets and an old garden gate. The garden has grown up around it now making it look more attractive. He didn't want a shop brought Wendy house which was fine with us. He has set his den up as his laboratory, full of his 'potions'. A child's imagination seems to come alive in a den. 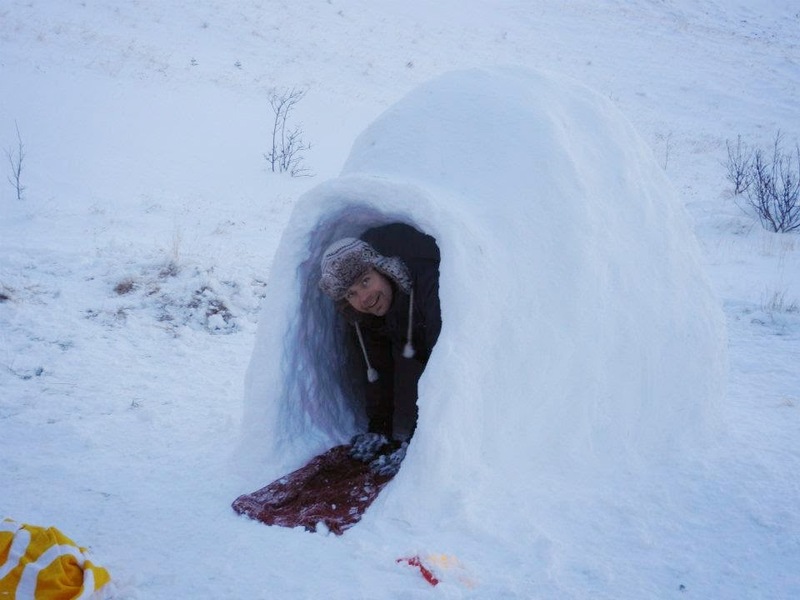 We were lucky enough to get enough snow to make this cool snow den. It took all day but it was worth it when at the end we lit a few candles inside and sat in it with some hot chocolate and cookies. It's great that parks seem to have cottoned on to how much children love dens and you will often find one of these living willow dens in playgrounds now. 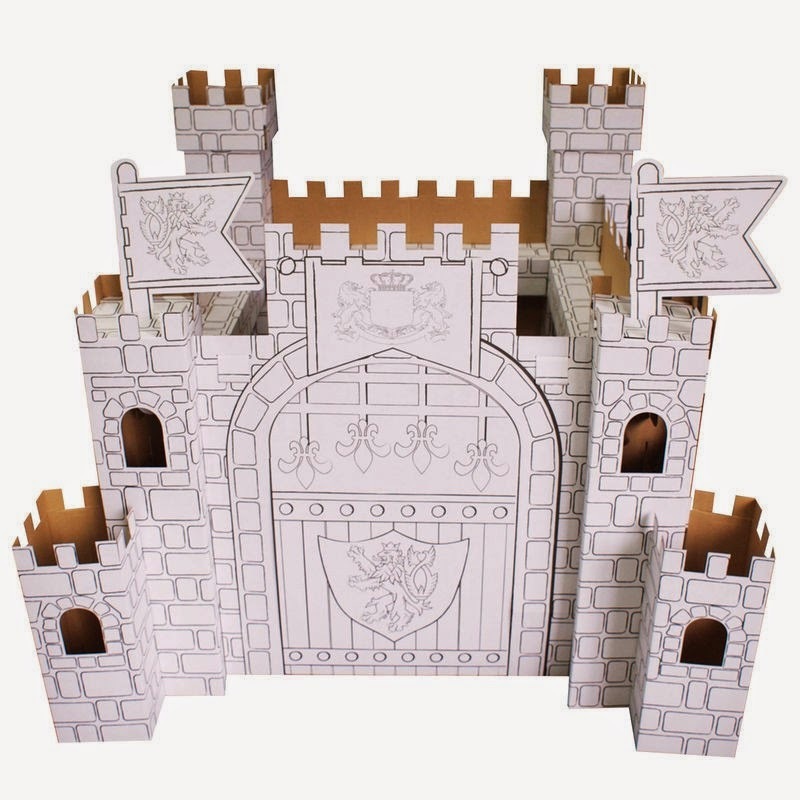 We sell a colour your own castle for £25 made from card that you simply slot together and then colour. Its great fun making a den together and this set really gets them involved. Then they can get dressed up and role play from there very own fort.